DJ Matt is fast becoming Boston’s number one most requested DJ. Matt has the pedigree of coming from the areas most elite DJ family and company. Matt is classically trained and knows how to play for any age group. Matt is exceptional on the mic and knows how to speak properly. Matt can mix his music with the very best DJs in the world, on beat and in key. New England Aquarium 2018 Corporate Event! Matt is amazing with our corporate clients, he plays the music that our clients enjoy dancing!!! DJ Matt is playing the big room at Danversport. The Grand Ballroom was the place for this amazing wedding. Matt says a few words directly to you, the future brides, so make sure you take a look. Matt is one of the very best wedding DJs today. DJ Matt Toto Mixing live at a Fabulous Boston Wedding! 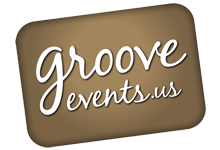 from Groove Events on Vimeo. DOUBLE TREE HOTEL and Suites, Boston. DJ Matt has this dance floor packed! This is the DJ you want at your special event. DJ Matt Toto Four Seasons Boston Packed Dance Floor from Groove Events on Vimeo. DJ MATT at the Four Seasons rocking another crowd with a packed dance floor all night long! DJ Matt Toto Four Seasons Boston corporate event, end of the night FUN! from Groove Events on Vimeo. FOUR SEASONS HOTEL BOSTON This exact clip is the very end of the night, the floor is still packed. Wait for it to end and feel what they felt.